When your only glimpse of the sky is the mottled reflection in the glass office blocks opposite your desk, and the manic rush of traffic and people begins to irritate, you know you need to plan your escape. Luckily, in London, you can feel like you're in the countryside without leaving the city. Just pack a picnic and grab your oyster card. It's time to swap the chewing-gum-stained-fag-strewn concrete for green grass and the cornflake-crunch of leaves and twigs underfoot. There's nothing like taking a leisurely stroll or a vigorous hike under a luscious canopy of ancient oak, beech and hornbeam trees. 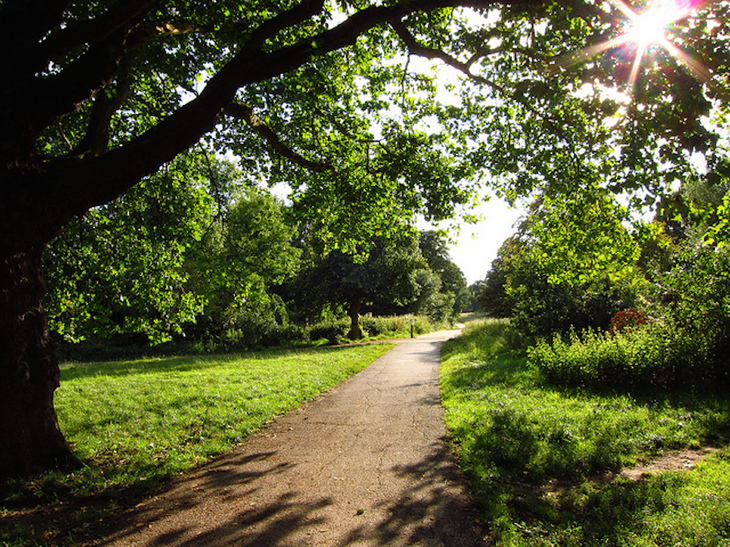 Epping Forest — London's largest open space, stretches from Manor Park to the north of Epping. Its 2,400 hectares provide a habitat for 500 rare and endangered insect species, a herd of wild fallow deer, and a cluster of stressed city dwellers looking to get back in touch with nature. Aside from the usual activities — hiking, horse-riding and cycling, the forest holds workshops in identifying herbs, pond dipping, and kids bushcraft activities, such as wood whittling and shelter building. The best place to spot deer is from Long Street, Upshire, but watch out for them on the roads too. Country living means you can't really be squeamish about where your meat comes from. In autumn the forest keepers host venison butchery and cookery courses. Keep an eye on the events page for more details. Use the map to plan your journey. If you find the scale of Epping Forest daunting, stop off a few stations earlier, at Buckhurst Hill instead. The mostly flat, winding pathways of Roding Valley are perfect for tearing around on bikes. We have fond childhood memories playing in the park and paddling in the gully while attempting to catch tiny fish with buckets and spades. The nature reserve contains shady, wooded areas, open fields, a lake and streams — loved by dogs and people alike. We've heard The Railway Tavern in Buckhurst Hill provides good pub grub in a comfy, homely setting. Alternatively, pack a picnic and enjoy it at the reserve. We recommend setting up among the kingfishers and dragonflies at the secluded Andrew's pond. 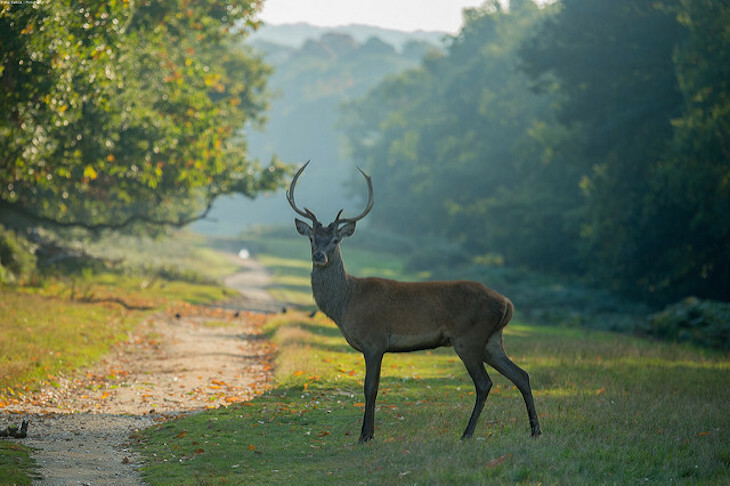 If the deer at Epping Forest were feeling shy, you might be able to catch a sighting of the Red and Fallow breeds at Richmond Park instead — the largest of the capital's eight Royal Parks. You'll be walking among hundreds of rare and unusual species: wild flowers, fungi and ancient oak trees which date from the 1830s. Notice the sun dancing on the leaves, breathe in the rich smell of soil and cut grass, listen to the birdsong and relax. You could even try our weekend walk from Richmond to Twickenham. 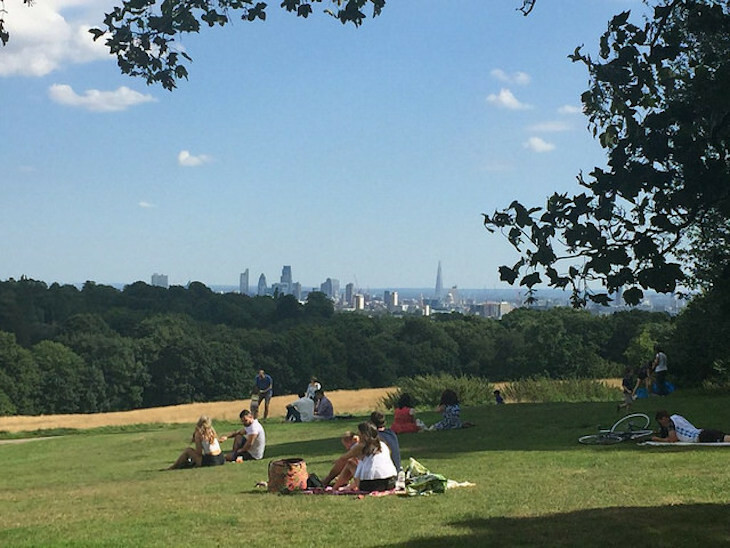 If you'd rather be out in the open air with a picnic blanket than hiking through dense foliage, journey to Perivale and begin your ascent of Horsenden Hill. Once you've huffed and puffed your way up 276ft, you'll be rewarded with superb views of the city. The area is the largest open space in Ealing and one of the highest points in the capital. At some stage in its past, wild boar, bears and wolves roamed round formerly dense woodland - now you're more likely to bump noses with the butterflies that flit around the meadows and grassland. In spring the oak and willow trees of Perivale Wood are rooted in a bed of bluebells. Nearby Paradise Fields is a wetland area for swans, herons and goldfinches. Once you've basked in the suntrap of Parliament Hill there are numerous winding trails you could take — stroll over freshly-mown hills, through dense woodland or alongside Hampstead's many ponds and up to Kenwood House. Once you're in the midst of it, the sounds of the city can't be heard above the bird song. Here you can take a deep breath without feeling like you're choking on the black stuff that lines every tube rider's nostrils. 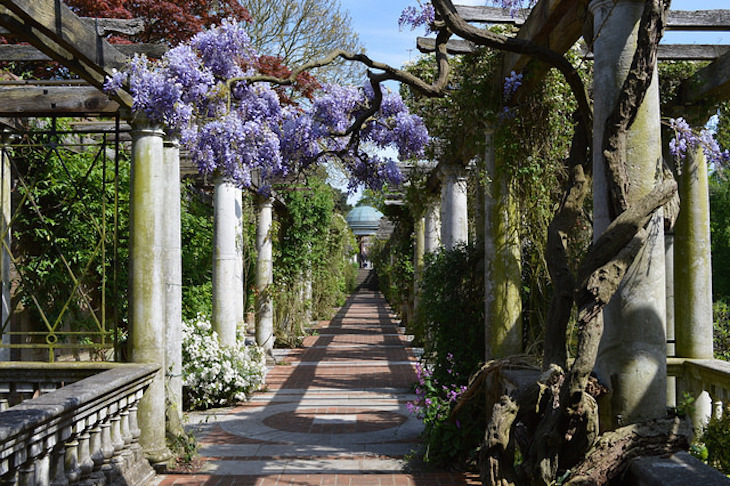 Don't forget to visit the Pergola and Hill Garden, a stunning, vine-covered walkway which overlooks West Heath. Use the map to plan your visit, or why not try our weekend walk? A leisurely two-mile affair from Highgate to Hampstead or if you're feeling energetic take our nine-mile walk that encompasses Hampstead Heath, Regents Canal and Primrose Hill. Vauxhall, Kentish Town, Stepney Green, Hackney and many other spots boast a small slice of countryside in the form of a farm. But our favourite has to be Mudchute. 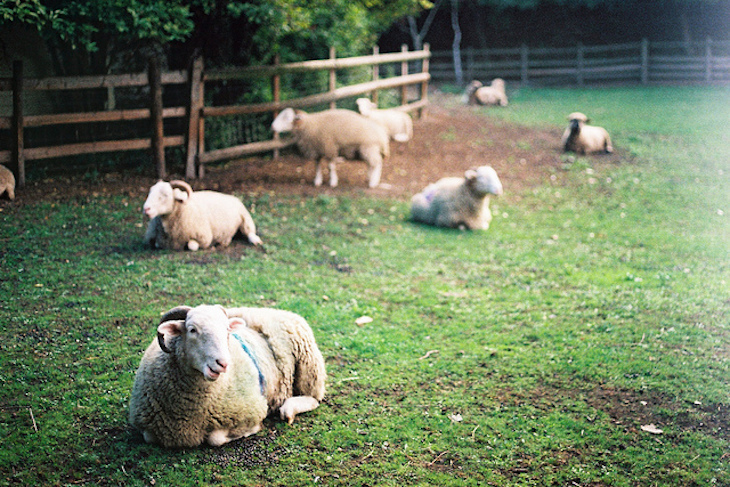 All manner of farmyard animals live together happily in the middle of the Isle of Dogs. Yes, you have to walk through an Asda car park to get there, but once you've left the fumes and shopping trolleys behind, the concrete opens up into 32 acres of east London countryside. There's a pet's corner, stables, open grass and tree-lined pathways for exploring and best of all it's free. Despite the towering glass and steel of the City looming rather close, this farm has a secluded charm to it. If countryside to you conjures up traditional ways of working — by hand with natural materials, then check out the Blacksmiths at Surrey Docks Farm, located on the Thames Path at Rotherhithe Street. The Forge has been teaching the joy of metalwork for the last 15 years; head along to a workshop and fall in love with the personality of a one-off object over the sterile uniformity of mass production. It's also a working farm with all the usual animals to keep the kids occupied. One of the best ways to enjoy the city's natural environment without actually booking a holiday in the countryside is to head out to the marshes that surround the city. Hackney, Tottenham, Walthamstow and Rainham are all home to boggy wetlands, with snaking pathways that are ideal for a gentle stroll or afternoon cycle. The waterways are a haven for wildlife - you're likely to spot Heron, Kingfishers, Grebes and Moorhens along the river walkways, while buzzards have been spotted flying above. 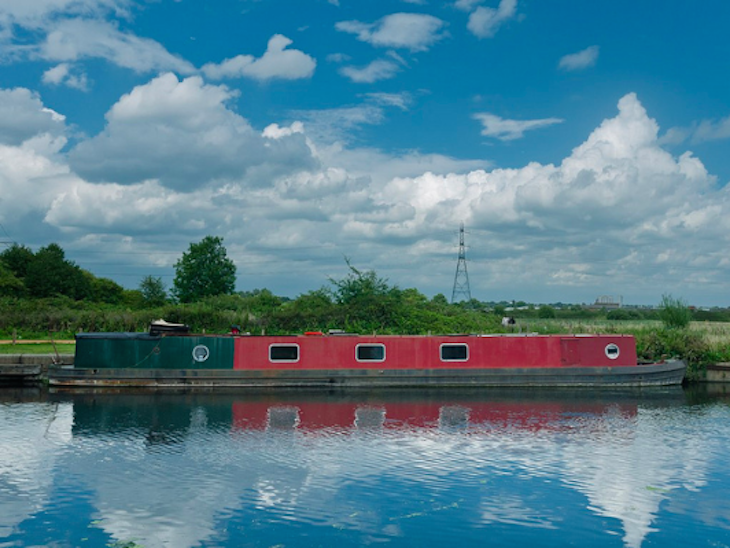 Plan your escape from the city with this weekend walk from Beckton to Hackney or through Lee Valley, where we spotted 35 species of bird, beat that? For more inspiration for countryside walks, check out the rest of our weekend walks.